DESCRIPTION: Furnished basement apartment, bathroom with shower, open living/dinning/bedroom area, closet. Washer and dryer are shared with house residents in the basement area.Apt. has separate outside entrance. Basic furniture provided (no linens, dishes, pans). DESCRIPTION: Slate entry area, Eat- In Kitchen, Dining Area, Living room with Fireplace, 2nd floor has bedroom- MBR has ceiling fan and walk-in closet, Utility room, Basement has finished family room and large storage room, some blinds, storm door, deck, patio and 5 ceiling fans. APPLIANCES: Refrigerator, Ceramic cook- top range, Dishwasher, Built- in Microwave, Garbage Disposal, Washing Machine and Dryer. 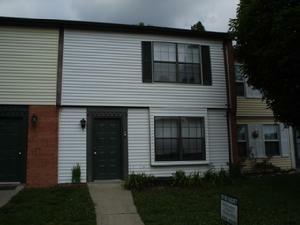 AMENTITIES: Close to Shopping center; Easy Access to 199 and I-64; Close to Colonial Area. DESCRIPTION: Living Room, Kitchen, Dining room, Utility Room w/ washer & Dryer hook-ups, Blinds, Wall-to-wall carpet, Central Heat/ Air Conditioning, Storage Shed. DESCRIPTION: Entry area, Living/ Dining Room w/ blinds, ceiling fan, Carpet & Drapes, Kitchen w/ laminate counters, Laminate flooring and bar stool area, Pantry closet, spacious bedrooms upstairs with wall-to-wall carpet, Master Bedroom has large shower stall with seat, tub in 2nd bathroom, Ceiling fans in both bedroom, Central Air, Gas Heat, Storage Shed, Patio and Parking in back on unit, Storage area under Staircase/Attic area. APPLIANCES: (Stainless Steel) Gas range, Refrigerator w/ ice maker, Built-in microwave, Dishwasher, Garbage Disposal, Front load stacked Washing Machine and Dryer.